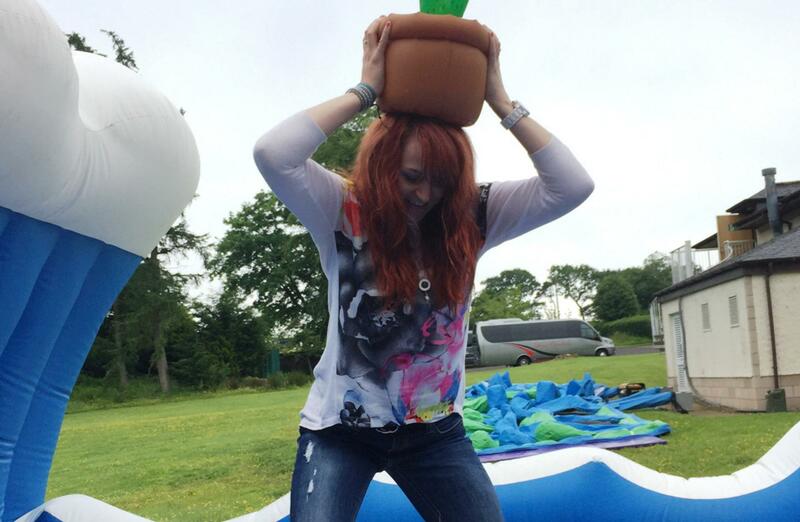 Team Challenge Company had the pleasure of hosting The Big Partnership’s much anticipated summer Corporate Fun Day at the amazing Macdonald Crutherland hotel in East Kilbride. 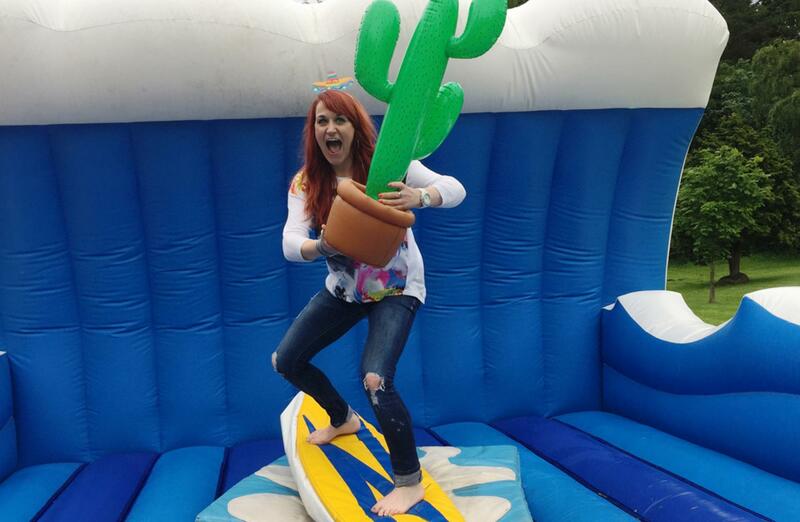 The teams arrived from all across the UK (some even with cacti!) to the beautiful hotel where they were greeted by our team ready for an afternoon of fun and friendly competition. 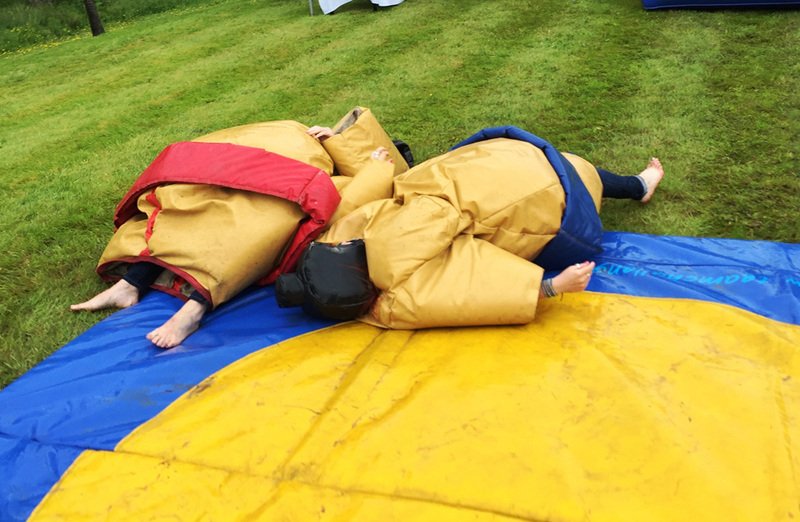 The guests were super excited and couldn’t wait to hop on the range of inflatables that included our Deluxe Surf Simulator, Sumo Suits, Gauntlet Assault Course and Two Lane Bungee Run. 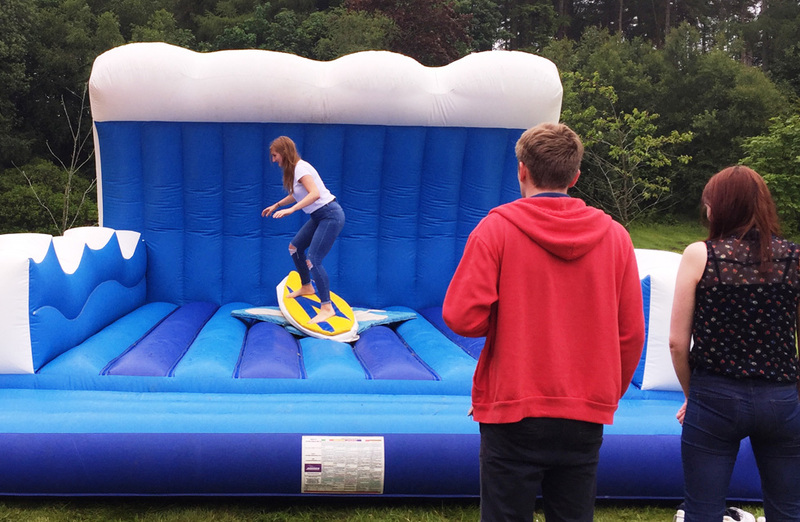 The weather held out to let everyone have a go on the Bungee Run and Sumo Suits first thing, and we saw some impressive times on the surf simulator ranging from a mere 7 seconds… to a whopping 194 seconds! 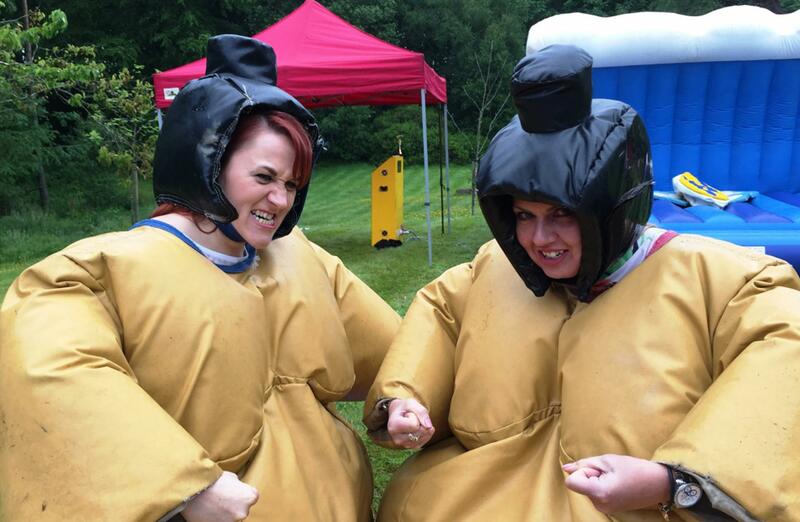 The Sumo Suits proved to be a popular activity on the day, with office tension being fought out on the mat, there was plenty of slipping and sliding happening and even some tumbling! The Surf Simulator was most definitely the highlight of the day with the scores ranging from high to low. With the fiercest competition during the cactus holding round! The scores were close; coming in at the top of the pile was Olivia with 194 seconds walking away with a day’s leisure pass with afternoon tea at the Macdonald Crutherland Hotel! Olivia was closely followed by Dom, with 169 seconds, walking away with Team Challenge Company’s world famous trophy! Bottom of the pile (or the looser) walking away with nothing but great memories (and wet socks) with 7 seconds, was Clare. 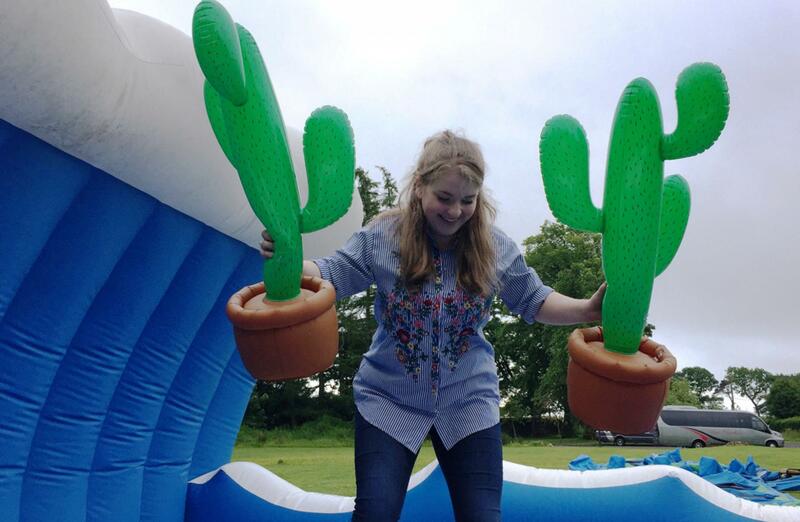 And finally... as promised, a special mention for Isla for being the only person to compete with a Cactus in her hands! 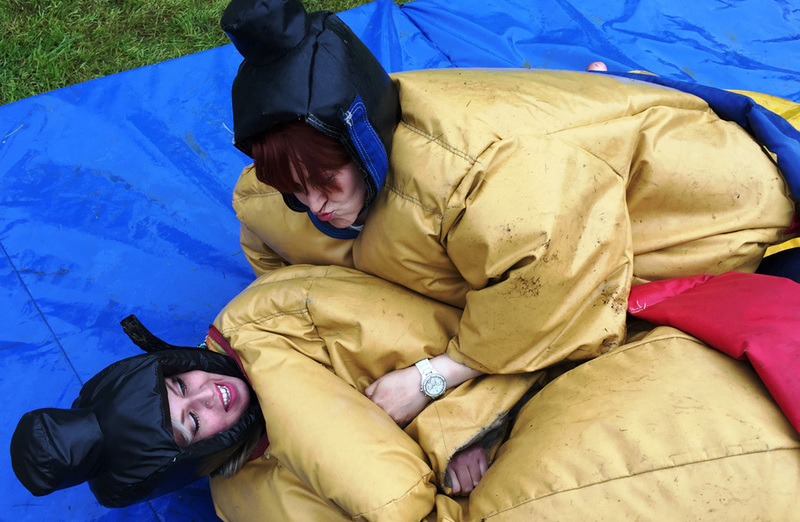 As the weather took a turn for the worst and the skies opened, it began to rain, but this proved to be a motivator for the team from The Big Partnership’s Fife office! Those girls loved the rain! The surf simulator became slippery but that only enhanced the fun and competition! 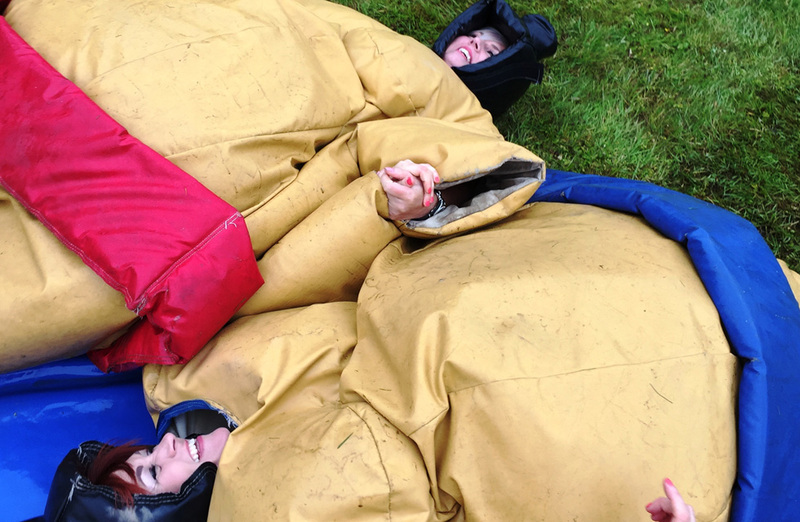 The rain dampened no spirits and, mixed with the other spirits being drunk the groups, they were having a great time! Overall the day was a fantastic success and everyone left with a smile on their face! We here at Team Challenge Company and everyone at the event would like to pass on our thanks to Megan for making the day happen! Great day with The Big Partnership! The weather didn't stop the fun! Look forward to working with you all again!